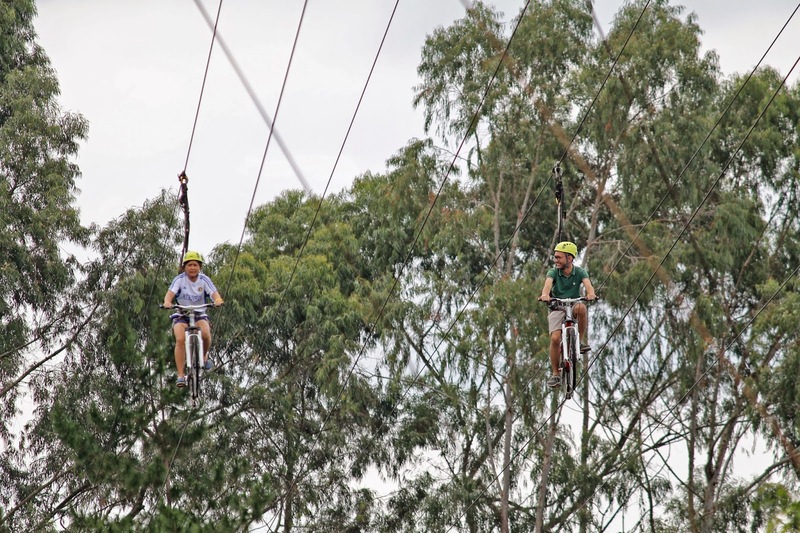 Almost everyone knows how to ride a bicycle, but only a few people dare to ride a bicycle 60 feet high and traversing 200 feet on a cable. 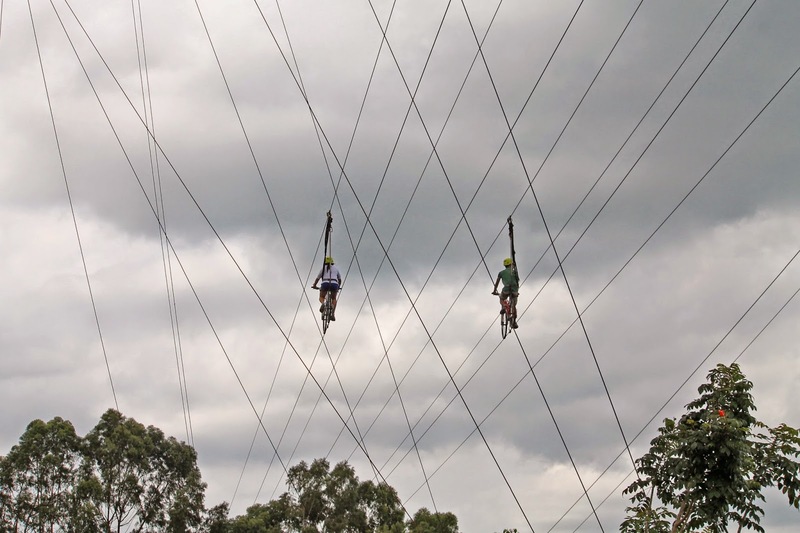 Eden Nature Park currently offers Skycycle and thrill seekers shouldn't miss this newest attraction in Davao. 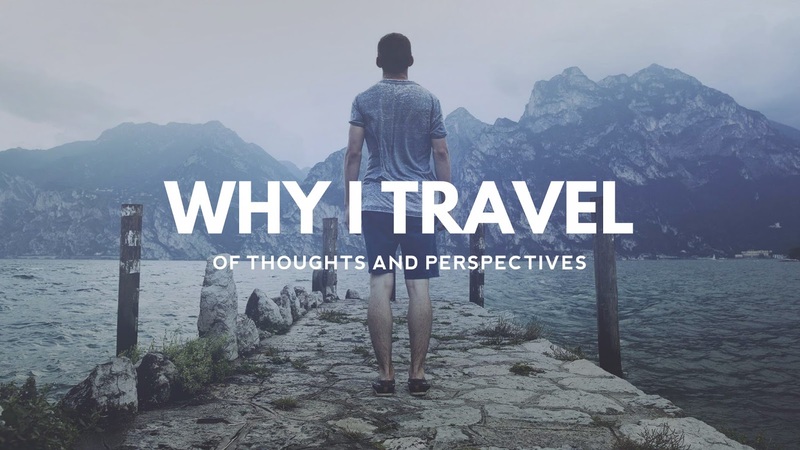 I went home to Davao a week after Holy Week for a quick respite from work. Aside from dining at the newest restaurants, I decided to try some new activities that my hometown has to offer. And off we went to Eden Nature Park, which is an hour away from downtown Davao. I had a fair share of bruises and scrapes when I was still learning how to ride a bicycle without a balancer. Right after mastering the art of balance, I'd always ride a bike around our neighborhood. It used to be my daily exercise routine until the university life ate almost all of my time in studying (and drinking lol). 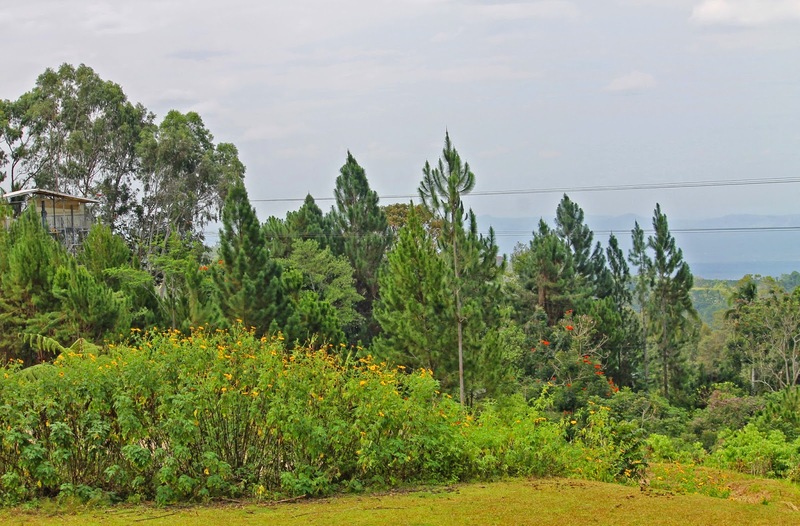 The cool climate of Eden. 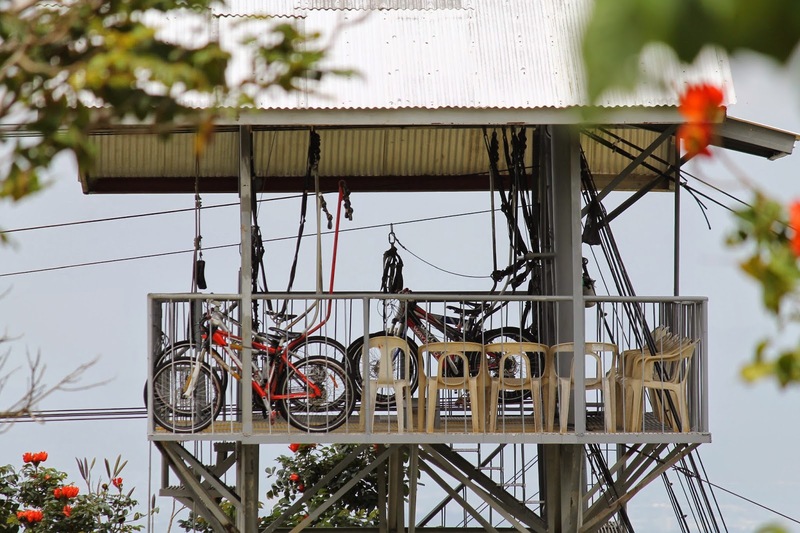 After paying for the fee (Php 200 entrance + 200 for the skycycle), we signed up our individual waivers, listened to the briefing, and fitted with our individual harnesses and helmets. We climbed six floors to the starting point. 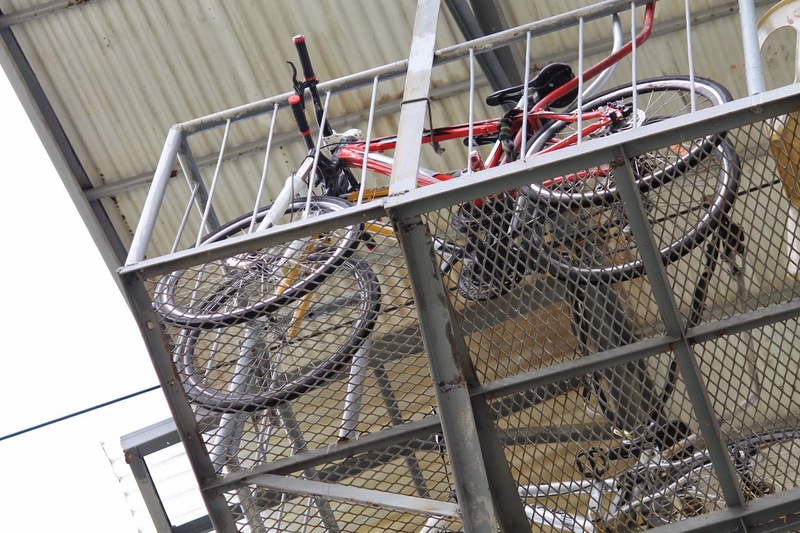 The view was spectacular from above, yet scary at the same time, knowing that you're going to ride a bicycle on a metal cable, not on a stable platform. After the final briefing on how to maneuver our bikes, the gates opened and we started pedaling to the other side of the track. My mom was screaming because she's acrophobic while me, I tried to pedal as fast as I could so that I could feel the wind rushing on me. It was surreal, I tell you! Pedaling our way to the other side. As we reached the other side of the track, the guide turned our bikes to the opposite direction, going back the point where we started. My mom, who's still YOLO-ing, kept on screaming as she pedaled her way back to the starting point. Yours truly, however wished that the track was longer and had obstacles. Lol. So would I recommend Eden's newest attraction? Absolutely. It's the safest way to YOLO. 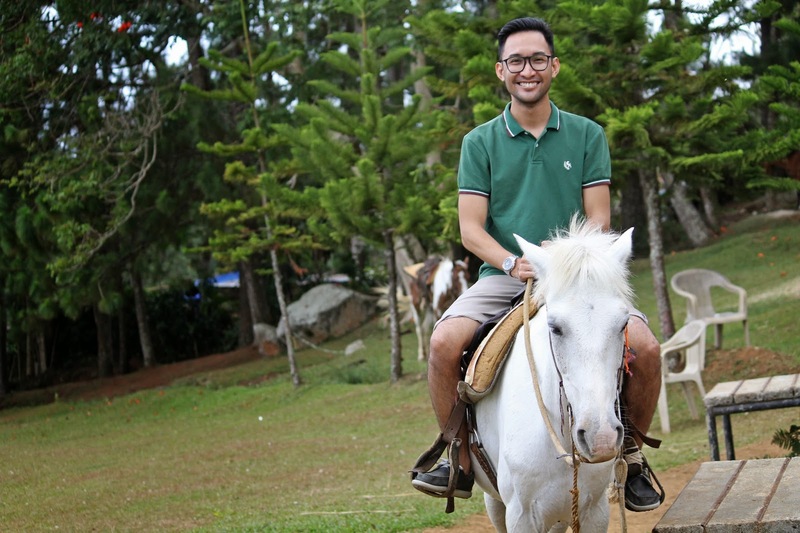 PS: Tried horseback riding for only Php 85! Per hour ang horseback riding ala Haciendero? Unsa man na oi. pang photo op lang. seh. I wanna try skycycling so bad! is there a weight requirement ?